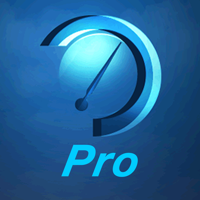 Internet Speed Pro is a IT utility app to determine your download, upload and latency (response) or ping with one-tap ease. The app also includes the ability to do a trace route between your device and the test server to analyze the connection further. 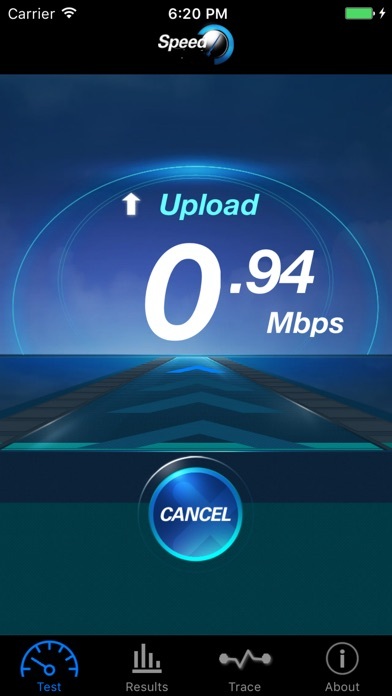 Use Internet Speed Pro to monitor your cellular (3G/4G/LTE) or WiFi connection rate and response for your device. With a real-time graphical display, results are updated continuously during the testing procedure. 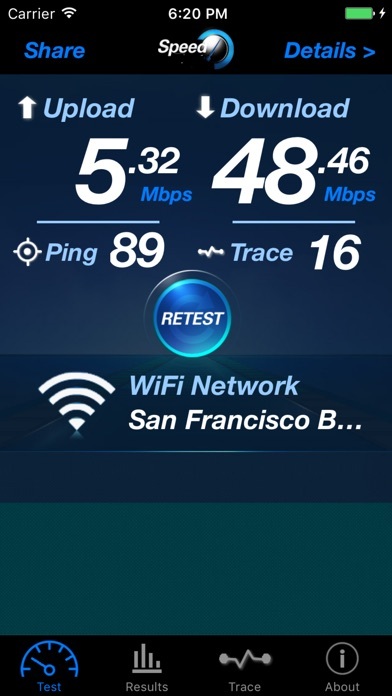 This simple, easy-to-use app provides consistent, accurate internet speed from any location. 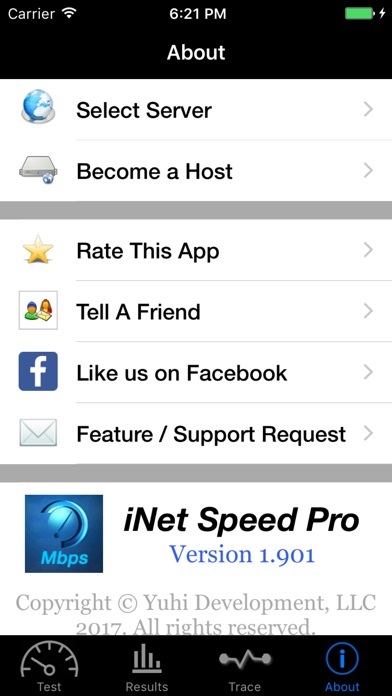 – Simple, one button tap performs (or cancels) the internet speed tests. - Check the trace route to the test server to determine internet routing issues. 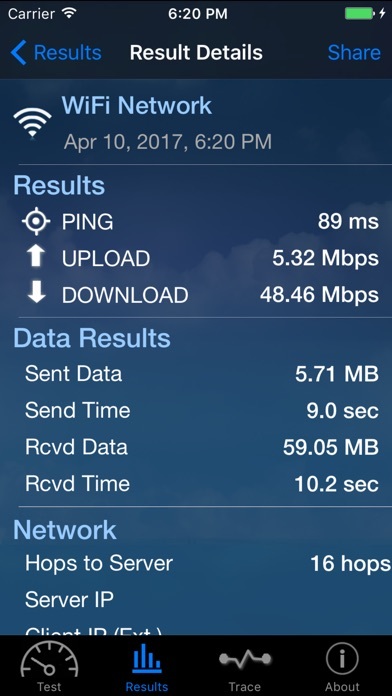 – Testing features download rate, upload rate and ping time. – Simple, easy-to-read tracking and reporting. - History of the previous tests is available for comparison. - Works on either Cellular data from any carrier or when connected via WiFi. - Conveniently share results with others via email. - Testing servers located around the world for accurate results.